Frontpoint is an industry leading home security provider, well known for their state of the art wireless security and customer service. Features and equipment offered by Frontpoint are highly beneficial to home and apartment renters. It’s easy to install, move around, and transport to a new residence. However, the factors that really make Frontpoint stand out is their amazing customer service, zero hidden costs, and easy to install DIY security features. These factors all come together in one package to help consumers save time and money. Frontpoint home security is totally wireless and can be moved and removed as many times as you need. Wherever you go, your Frontpoint security system can go too. Its only limitation is literally that it requires a cellular connection and reception. 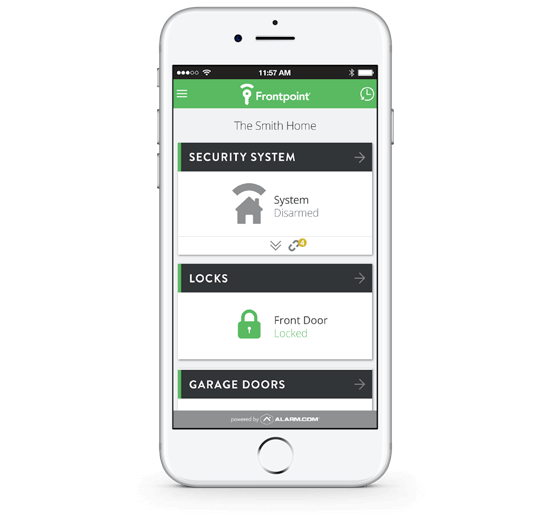 Home security doesn’t get any simpler than this.Here are some other features that makes Fronpoint an attractive home security option. Frontpoint security offers an Interactive and Ultimate plan which allows you remote access from your smartphone or other online devices. Get access to all your security features, alarm, and home activity from the palm of your hand. You can also have control of home automated features such as thermostat control, lights, and security cameras while you can also customize your security alerts to suit your needs. Frontpoint home security is a wireless system which uses a control panel to signal monitoring centers via cellular reception. This means that you won’t require a landline phone for monitoring services. Cellular uplinks allow you to communicate with your home security from a handheld device. You won’t ever have to worry about phone lines being cut either. One of the best features of Frontpoint security is its easy DIY installation features. Without any painful wiring, you can have it setup in under 30 minutes. You can also request the assistance you require over the phone from a Frontpoint technician who can take you through the process step by step. 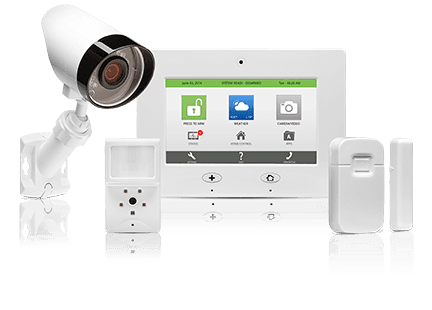 However, Frontpoint is a self-installed wireless home security system and everything is pre-configured before you receive it. Installation should be a breeze, however, and your equipment is backed up by a 2-year warranty. There are zero activation or installation fees neither. Moreover, consumers pay for their security equipment once off and it is yours. Thereafter, all you pay for is the monitoring package you choose. You can add more security components to your system later on and you can take it with you should you move to another home or apartment. Frontpoint home security includes carbon monoxide, flood, fire, and life safety monitoring. Many other security providers charge extra for these emergency services. One of the main benefits Frontpoint has to offer is its portability for home renters while still offering a reliable monitoring service. Wireless and cellular connections not only make for more safety and comfort, but power cuts and faulty lines or missing landlines are a problem of the past. Easy installation and customization alongside easy removal make Frontpoint one of the simplest and versatile home security systems on the market.